Let’s begin by stating what should be obvious: Israel, like all countries, should not of course be immune to criticism. However, those of us who comment on the disproportionate criticism the Jewish state receives are often struck by how this obsessive and often myopic opprobrium serves to drown out attention to other conflicts and, especially, to other victims deserving of our sympathy. Israel (the most progressive state in the region by far) and Syria (the most brutal, repressive and violent regime) present great examples within this paradigm. To offer a sense of scale: Before the outbreak of the civil war in Syria, the permanent AP presence in that country consisted of a single regime-approved stringer. The AP’s editors believed, that is, that Syria’s importance was less than one-40th that of Israel…Staffing levels in Israel have decreased somewhat since the Arab uprisings began, but remain high. And when Israel flares up, as it did this summer, reporters are often moved from deadlier conflicts. Israel still trumps nearly everything else. This disproportionate focus on Israel is of course not limited to the media. In the UK – whose capital city is a major hub in the international delegitimization campaign against Israel – activists, union leaders, academics and politicians routinely incite against Israel, often employing vitriolic terms of abuse not used in any other conflict. 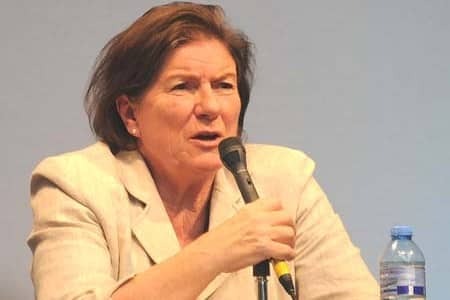 Among British politicians who don’t even try to hide their malign Israel obsession (and include antisemitic tropes in their repertoire of anti-Israel agitprop), Baroness Jenny Tonge is in a class of her own. The latest scandal involving Tonge involves a House of Lords speech in which she claimed Israel’s oppression of Palestinians was a “major cause” of ISIS. The article features Syrian children in holding pictures of popular Pokemon characters in hopes that an evocative image of innocent children victims of Syrian violence juxtaposed with the culturally iconic picture will get the attention of the international community. 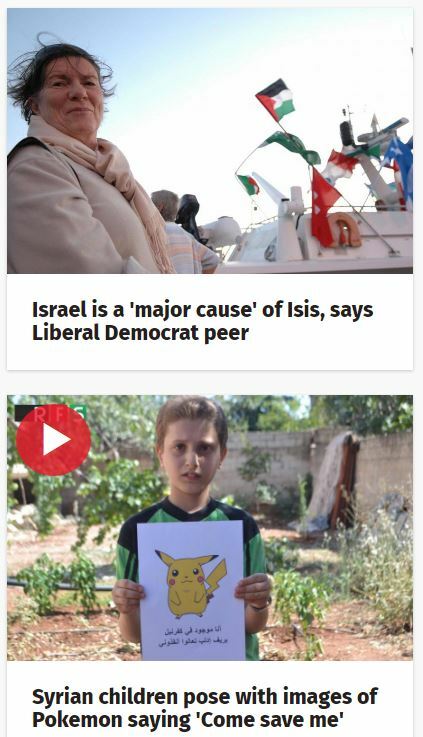 Some may note that photos of the Syrian children holding Pokemon characters were staged – designed specifically to elicit sympathy and media attention. But, of course, that’s exactly the point. There are a finite number of reporters within any news organization, and an equally limited quantity of space in any newspaper It is a zero-sum game. Disproportionate, obsessive coverage of one conflict necessarily results in less coverage of another conflict. The Labour Party is the ‘major cause’ of ISIS. Tonge is one of those who missed her chance to participate in the Third Reich through accident of being born too late. Poor Jenny. Separated at Birth Jenny and Shemp. A quite brilliant piece. Thank you, Adam. Wasn’t the sickening Tonge thrown out of the LibDems? Wasn’t she too vile even for them?